If you ever wanted to learn how to be a stand-up comedian, now would be a good time to take that step! 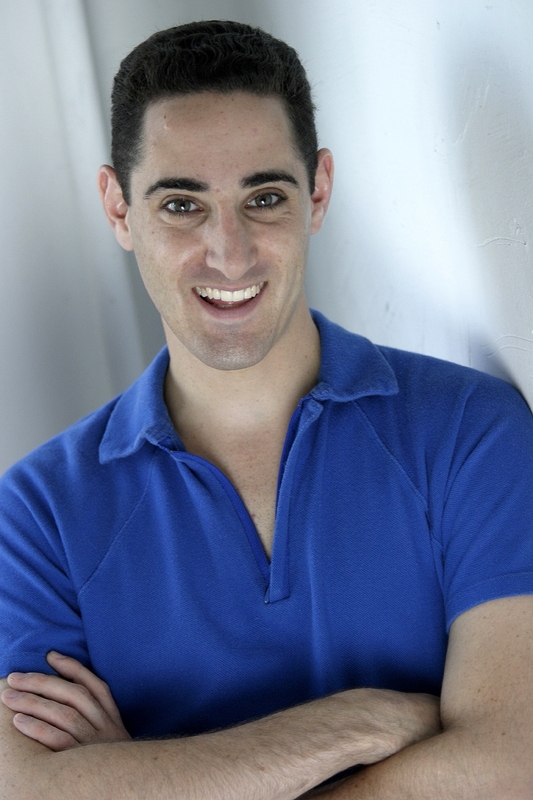 World renowned stand-up comic Eddie Sarfaty (and fellow “Adaumbelle’s Quest” participant) will be teaching a course in stand-up comedy this fall at NYU. Deadline to register is this Monday, September 20! Providing a safe and encouraging environment, Eddie will teach you the skills you need in how to write material for your stand-up comedy show. Eddie has been featured on “The Today Show,” Comedy Central’s “Premium Blend,” Logo’s “Wisecrack” as well as Montreal’s Just For Laughs Comedy Festival and New York’s Toyota Comedy Festival. 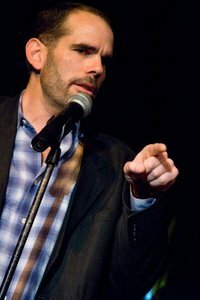 Learn how to write stand-up comedy from a working comedian who knows the business! Registration deadline is this Monday, September 20! Hey Boston…Join stand-up comedian and fellow “Adaumbelle’s Quest” participant Eddie Sarfaty this Saturday, April 10 at a black-tie benefit for Boston’s Fenway Health at the Boston Marriott in Copley Place from 6pm-11pm! Not only will you get to see Eddie live on stage, but when you purchase tickets, be sure to pick him as your table captain and you’ll get to sit with him! 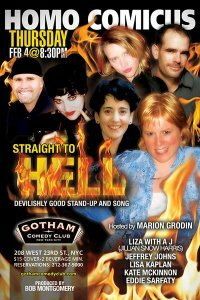 Catch comedian and fellow “Adaumbelle’s Quest” participant Eddie Sarfaty live on stage this Thursday (February 4) at Gotham Comedy Club in NYC (208 West 23rd Street) performing in Homo Comicus: Straight To Hell, the premier gay and lesbian comedy show! Showtime is 8:30pm. $15 cover + 2 drink minimum. For reservations call: 212-367-9000. 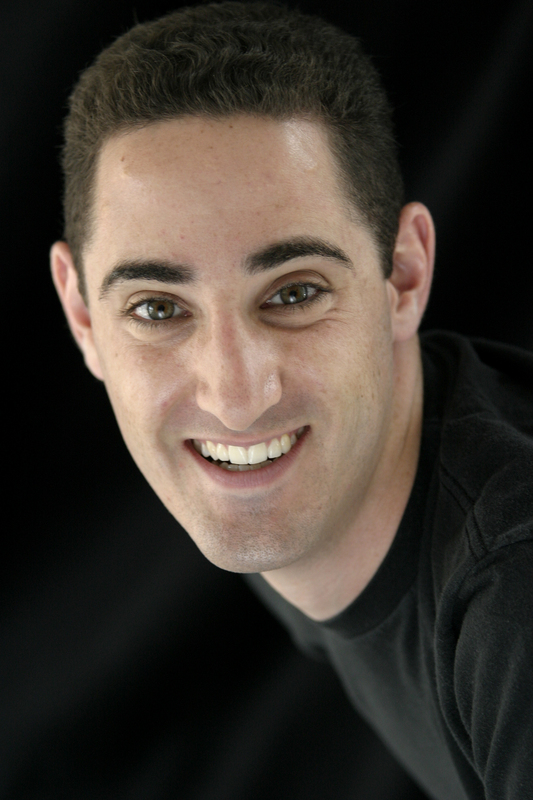 Catch fellow “Adaumbelle’s Quest” participant Eddie Sarfaty reading excerpts from his hilarious book, “Mental: Funny In The Head” this Friday, January 22, 2010 at at 9pm at Club JAM in Salt Lake City Utah (751 North 300 West). This special reading benefits QCares, a foundation that supports Utah’s gay, lesbian, bisexual, and transgender community organizations, and focuses on the problems of methamphetamine use and the need for Hepatitis immunization in the gay community. Yes, Eddie will be on-hand afterwards to sign copies of his book! Don’t miss this special opportunity to hear one of the funniest comedians read his book live while helping a great organization! 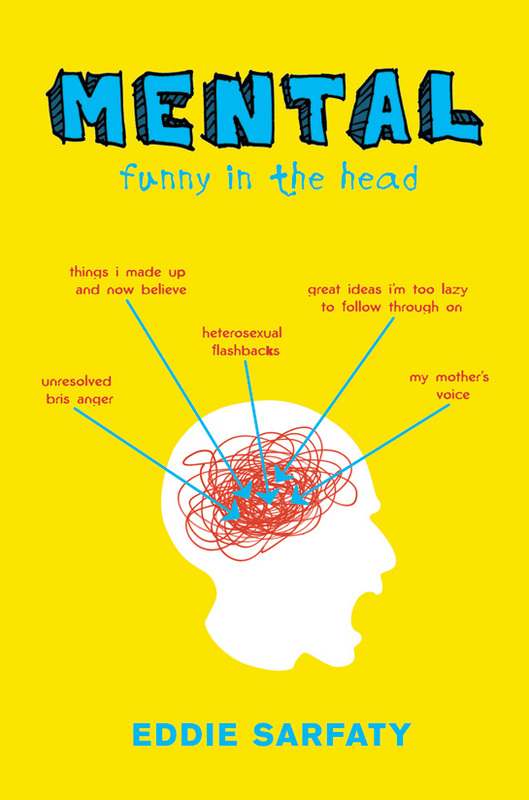 Catch fellow “Adaumbelle’s Quest” participant Eddie Sarfaty as he continues his country-wide tour promoting his hilarious new book, “Mental: Funny In The Head,” making his next stop in Atlanta, GA 11/10 & 11/12. November 10 8pm: Actor’s Express Theater (887 Marietta Street, Suite J-107). For tickets call: 404-607-7469 or click the link above. 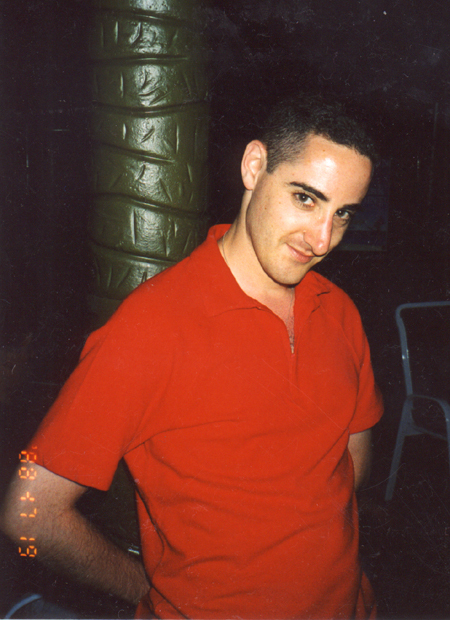 November 12 7:30pm: Outwrite Books (991 Piedmont Avenue NE). For more info call: 404-607-0082.